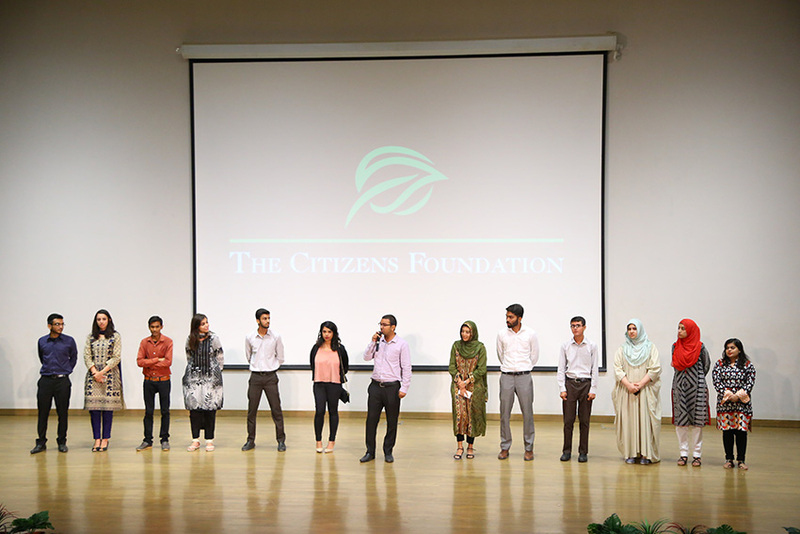 TCF recently held events across Karachi, Lahore and Dubai to celebrate the achievements of its outstanding alumni. Witnessing the full scale of the impact of education takes time and patience. Today, the TCF family is overcome with overwhelming pride to see most of our alumni pass out with flying colours and enter the world equipped with the skills and knowledge to navigate through life successfully. Just over two decades since we sowed our first few seeds of hope in our schools, we have now come to a point where we are witnessing the harvest of our labour of love. 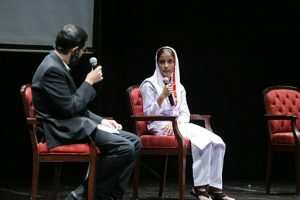 The event titled ‘Inspiring Hope through Education’ brought together TCF alumni who shared their riveting tales of struggle, perseverance and eventual success with an audience visibly moved by their poignant personal accounts. 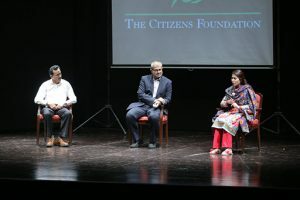 Mehreen Khan, Uzma Salim and Asad Sheikh were among the TCF alumni who were engaged in an awe-inspiring discourse led by Mr. Ateed Riaz, Chairman and Co-founder, TCF and Mr. Riaz Kamlani, VP, TCF. Zia Akhtar Abbas, VP Inputs, delivered a presentation to inform the audience about the ambitious Government Schools Programme (GSP) taken up by TCF to revamp and revive failing government schools across Pakistan. The audience was then introduced to one of the Social Studies textbooks produced by TCF for Classes 1 through 8 where they glimpsed into a few chapters teaching students the importance of environmental conservation and social responsibility. 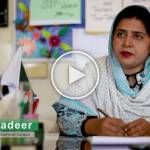 Tauseef-ul-Islam, VP Operations, spoke at length about the administrative aspects of school management and how his team strives to ensure that TCF remains a strategically well-managed organisation. 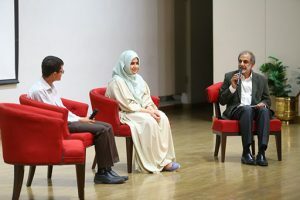 This was followed by a conversation with Ishaque Napar (title) and Quratulain Shaikh (title), led by Ateed Riaz, where they discussed some of their unique challenges they face on ground and their strategy for addressing these. 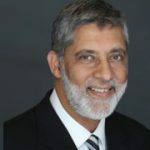 Nadeem Husain, TCF alumnus, then took over to introduce the Alumni Development Programme (ADP), conceptualized and led by himself to assist TCF alumni in their admissions into top-rated Universities in Pakistan. Introducing his team of dedicated volunteers, Nadeem spoke about the merits of the platform which is bringing prestigious Universities within the reach of TCF alumni. The programme is led and managed by volunteers across all tiers of operations, many of whom are TCF alumni. 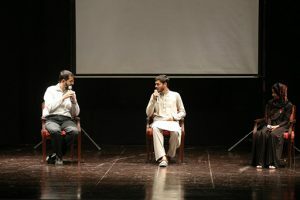 To close the proceedings, the Directors and co-founders of TCF, Mr. Mushtaq Chhapra, Mr. Ateed Riaz and Mr. Ahsan Saleem took to the stage and expounded upon the importance of education and the key role it plays in empowering individuals and transforming families and communities. 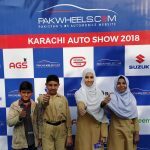 The series of events brought TCF alumni at the front and centre and gave them an opportunity to connect directly with the supporters, well-wishers and donors of TCF. 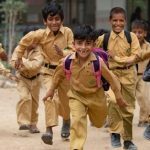 It is through their support and commitment to our cause which enables TCF to forge ahead with its mission to educate and empower. Celebrating the mission of TCF! 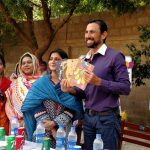 Younis Khan Presents his Cherished ’10,000 Run’ Bat to TCF!